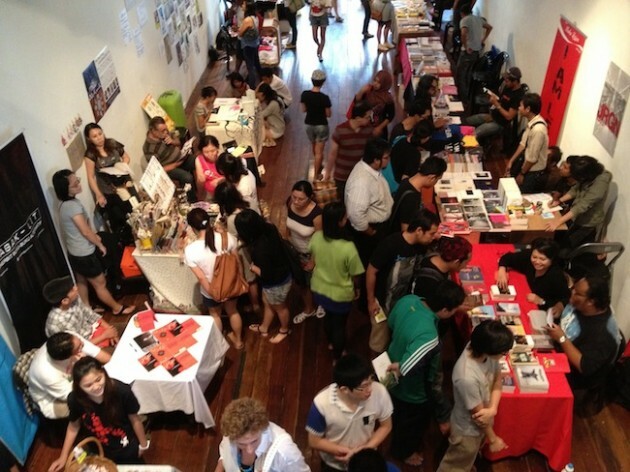 Since the world did not end after last year’s Art for Grabs Apokalips, KL’s thought-provoking arts bazaar is making a return at the Annexe Gallery, Central Market, this weekend. Held over 16 and 17 March, the event will feature the works of Malaysian artists such as Marion D’ Cruz, Munkao, Erna Dyanty, Jerome Kugan, Mark Teh, Saharil Hasrin Sanin and many others. Apart from enjoying various music performances and film screenings, participants at this edition of Art for Grabs will be able be the first champion to win the Annexe Badminton Cup, design by Carolyn Lau. The tournament is open to all but limited to 16 players only. There will be book launches and panel discussions by Selut Press, Rabak-Lit, Merpati Jingga, Terfaktab and Lejen Press. The team behind LoyarBurok will also be launching their online shop at the end of the event. Art for Grabs will start at 12 noon on Saturday 16 March. Admission is free. For more details, visit Art for Grabs March 2013’s Facebook event page.